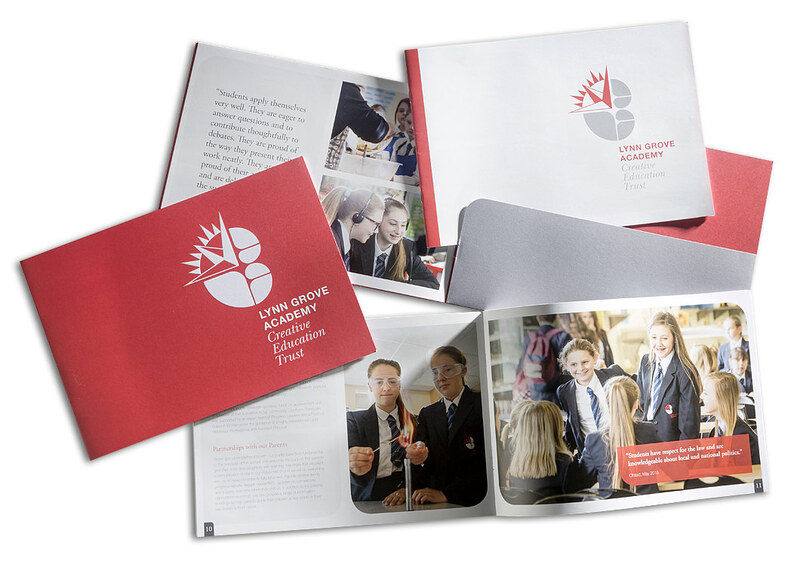 Summer break is over and it’s time to go back to school, at GGS we’ve been keeping ourselves busy over the summer period designing and printing school Prospectuses for a number of our lovely clients. 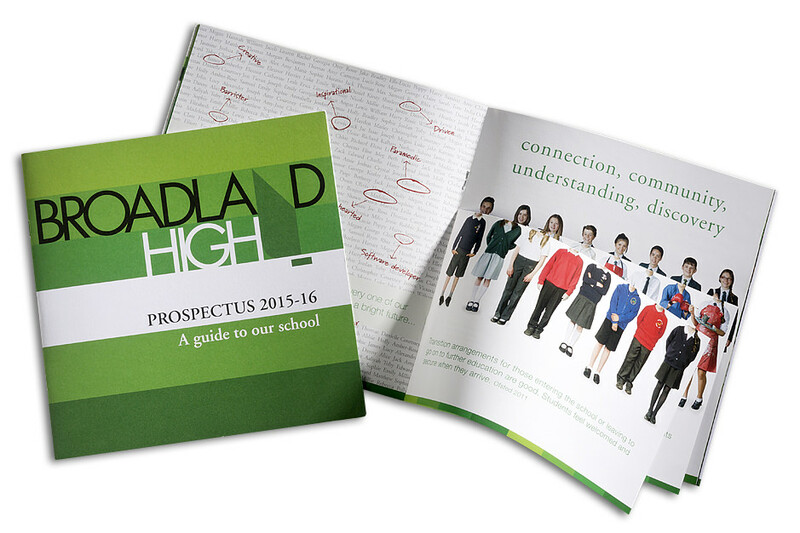 We know creating a Prospectus can be a daunting process, which is why we are with you every step of the way, from the initial planning meeting to discuss the brief, taking some amazing pictures for the content, designing something beautiful, and finally printing and delivering your school Prospectus on time ready for the start of the new Autumn term. It’s important that the design reflects school life which is why we spend time getting to know your school, your students & your vision. Right from the start the students can be involved, with our expert photographers capturing school lessons and activities to give a realistic and natural portrayal of your school environment. 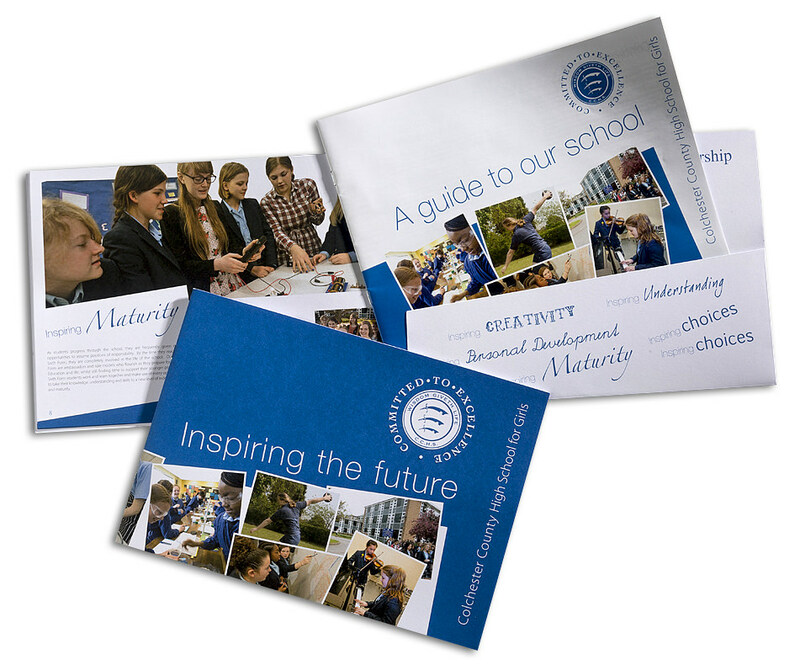 Our creative design team will then combine the ethos and values of your school to create a Prospectus that is fun, unique and easy to read. 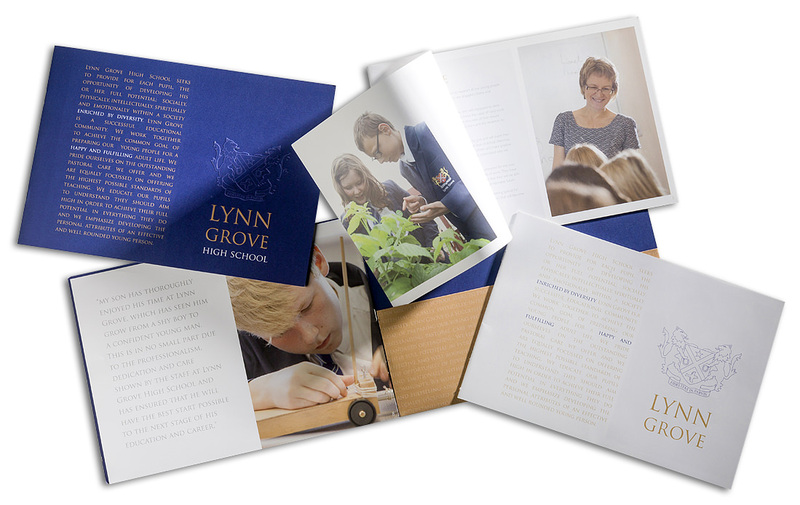 As well as our beautiful design and bespoke photography, we make sure all of the finishing touches are perfect too, we select and assemble a range of high quality professional paper stocks and finishes to ensure your Prospectus stands out from the competition. 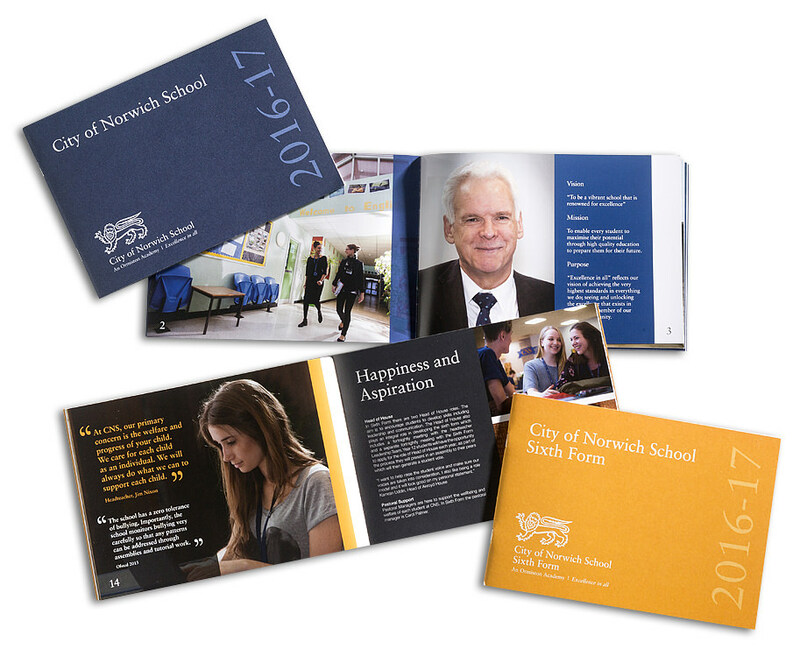 We enjoy working with a wide range of schools and colleges and no two Prospectuses come out looking the same, making sure each and every one has a unique and individual look. 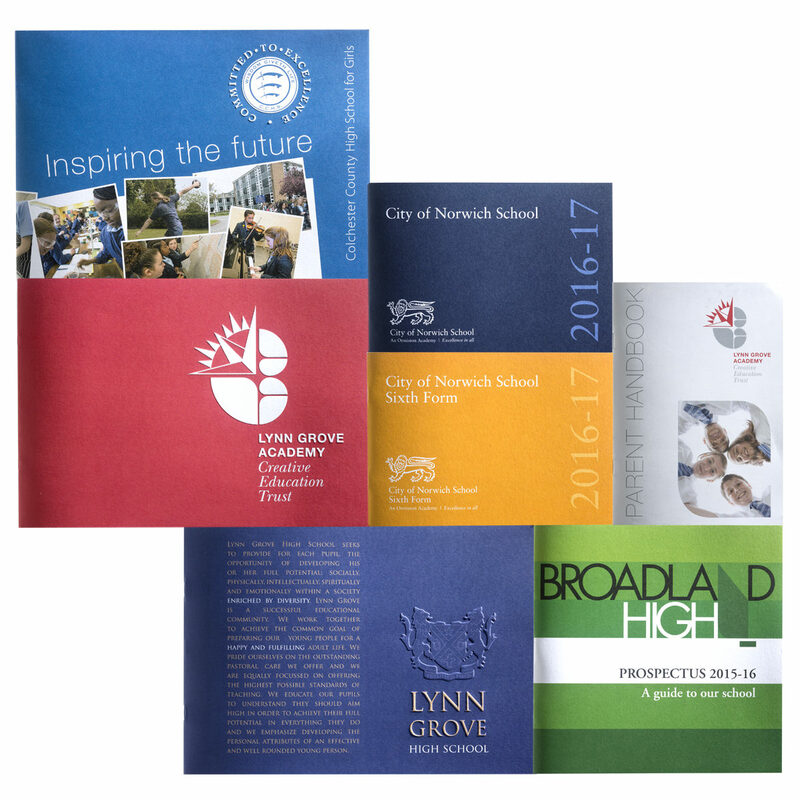 If you think we can help your school or college with next year’s design, please do get in touch; we will be delighted to pop over and see you at your convenience to discuss your requirements. Most recently we have worked with Lynn Grove High School and here’s what Mel Haylett had to say about her experience with GGS.